Plan views of trees, shrubs, walks, fences, and related configurations with the Chartpak Pickett Landscape Template. The durable 8" × 10" (20 cm × 25 cm) template is 0.13" thick and made in the USA with partially recycled plastic materials. Built-in risers and smooth apertures reduce smudged lines. 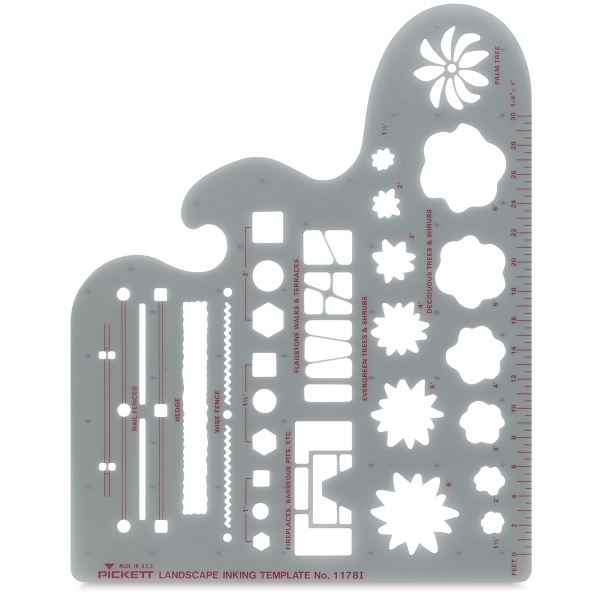 The flexible, translucent smoke-gray template has a 1/4" = 1 ft scale.